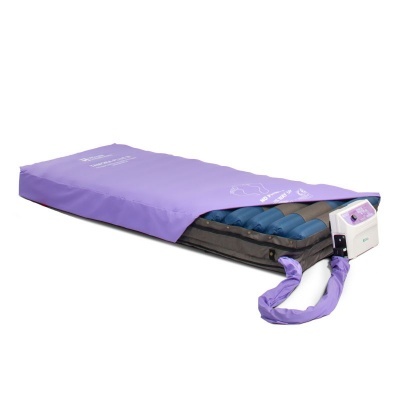 It's vital that patients who require pressure relief can get it without sacrificing safety or support, and dynamic mattress replacement systems provide an ideal solution. 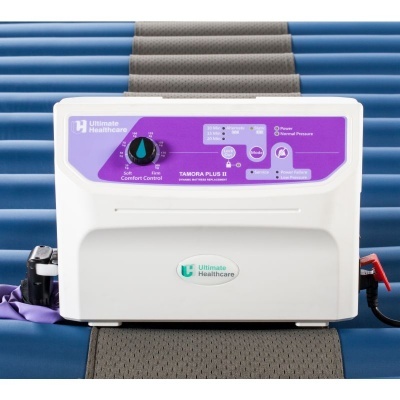 The Tamora Plus II Analogue Alternating Pressure Relief Mattress Replacement System is an alternating replacement mattress system that has an integral foam base to provide support and pressure relief in the event of a power failure. With a single layer of alternating air cells and a two-cell cycle to provide optimal dynamic therapy, this mattress replacement is suitable for those at very high risk of pressure sore development. The mattress features a dedicated head zone, allowing for stable and comfortable head support that other mattresses lack. Additionally, an integrated two-inch foam base provides extra pressure relief and support, addressing key height safety issues and providing extra support in the event of a power failure. The Tamora Plus II has been designed to ease the burden on nursing staff in the implementation of cleaning and decontamination procedures. An easy-to-clean waterproof cover with welded seams, enclosed zipper and integral covered air pipe will assist hospital staff in reducing infection by preventing fluid ingress and contamination. 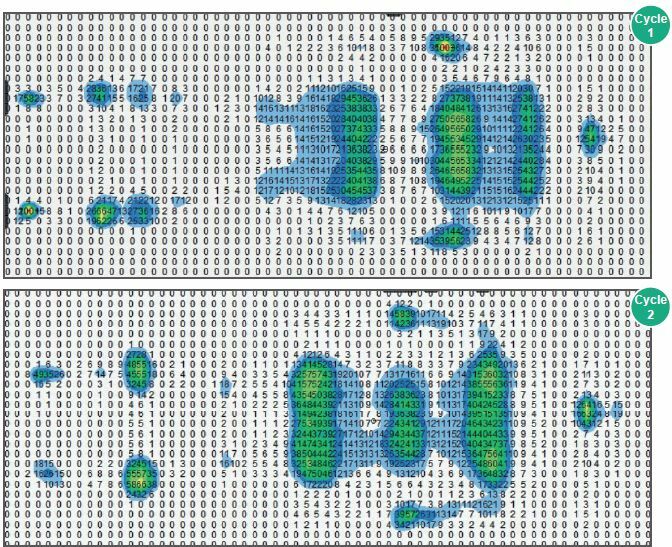 The graphic below shows the pressure distribution of a patient lying on the mattress through two alternating cycles. The patient shown is a 44 year old male with a height of 170cm weighing 82kg.